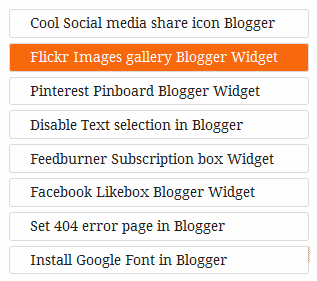 Blogger’s default Popular post widget is very simple, it just shows lines of titles. 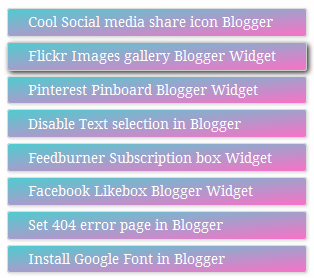 But this popular post widget can be customize by changing default CSS code of template. So I designed 3 different popular post widget with CSS and CSS3 codes. 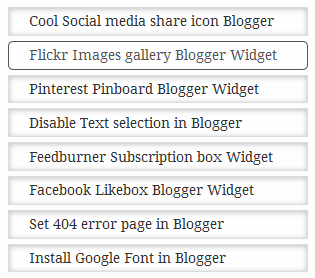 All you need to do is embed your favorite popular post widget codes in to your Blogger template. Let’s see how they look like and how to add them in your Blogger blog. Very trendy designed, Flat color, CSS3 transition, Google font. Eye responsive, elegant designed with CSS3 transition, Google font. Eye catchy colored, pop glossy designed with Gradient color, CSS3 transition, Google font. From pop up window select ‘Popular post’. And uncheck ‘Image thumbnail’ and ‘Text Snippet’. Above ]]></b:skin> copy and paste any style of popular post widget’s code. Finally ‘Save Template’, And check out your custom popular post widget. All effect’s (Shadow, Color, Transition) are optimized for maximum support for all web browsers.